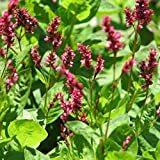 Persicaria Red Dragon growing herbaceous subshrub of the genus Persicaria also known as Knotweed or Persicaria microcephala Red Dragon, Persicaria Red Dragon perennial evergreen but also grow as annual plant, used as ornamental plant and attract pollinators, can grow in temperate or subtropical climate and growing in hardiness zone 5-9 (as perennial) and as annual 2-5 or 9-11. 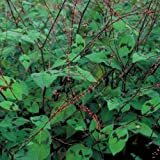 Leaves color red, purple to dark green with small shape of leaf in lighter or darker color. 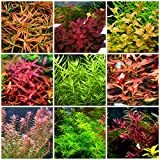 45 Stems/Live Aquarium Plants Package rotala!! ludwigia!!! +More!! !